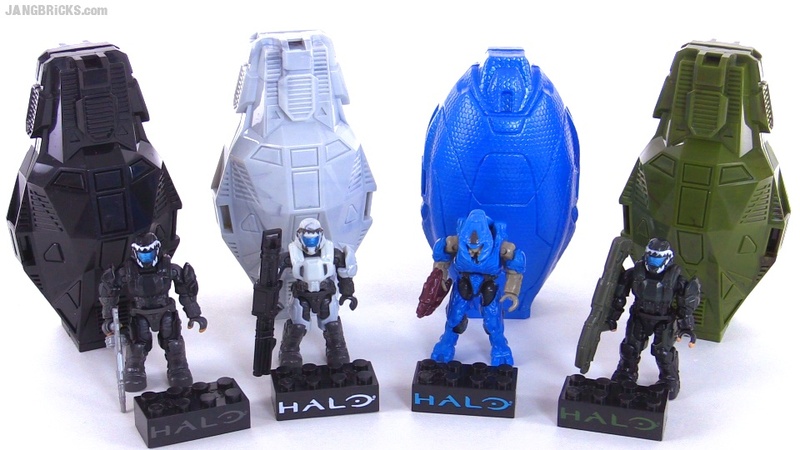 Mega Bloks Halo Metallic Series III Drop Pods reviewed! With the first MB Halo Metallic Series drop pod series, I lamented the replacement of nice, multicolored, detailed pods with simplistic two-piece shells, but the figures had nice colors. In Series II, we picked up added articulation for ODSTs, which was awesome, though the Elites remained old school. Now all of the figures are new-gen, but we've lost the "metallic" concept on half of 'em. It's fun to watch this little product sub-line evolve. You never know what's next! Video: Mega Bloks Halo Metallic Series III Drop Pods reviewed!